Widespread gun ownership and lax firearms controls were deemed major reasons for the US topping a list of violent deaths in wealthy nations. The study comes amid a fiery gun control debate, triggered by the fatal school shooting at Sandy Elementary. ­The 378-page survey by a panel of experts from the Institute of Medicine and the National Research Council, listed unintentional injuries, quite often caused by guns, among reasons why people in America die young more often than in other countries. “The prevalence of firearms in the United States looms large as an explanation for higher death rates from violence, suicidal impulses, and accidental shootings,” read the recent study, based on a broad review of mortality and health studies and statistic. The blame placed on firearms – that in the US are often being stored unlocked at home –comes amid an increasingly divided battle over American gun regulation. Fiery debate on the issue was triggered anew by the deadly shooting in a Newtown school. The massacre on December 14 claimed lives of 26 people at Sandy Hook Elementary School, Conn. – 20 of whom were children. The study highlights “dramatic” numbers of arms possessions in the US. For example, the United States has the highest rate of firearm ownership among peer countries — 89 civilian-owned firearms for every 100 Americans, and the US is home to about 35 to 50 per cent of the world's civilian-owned firearms, the report noted. “One behavior that probably explains the excess lethality of violence and unintentional injuries in the United States is the widespread possession of firearms and the common practice of storing them (often unlocked) at home,” said the survey. The United States has about six violent deaths per 100,000 residents, says the report, that also reviewed Canada, Japan, Australia and much of Western Europe. None of the 16 other countries examined in the study came anywhere close to that figure. Finland, which is said to have slightly more than two violent deaths per 100,000 residents, was closest to the US in the table. 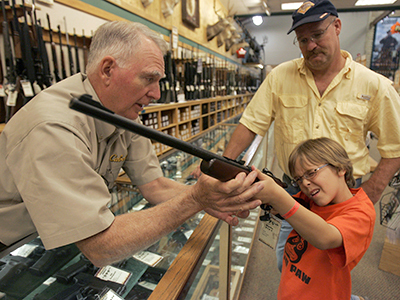 “Although US youth may be no more violent than those in other countries, they are more likely to carry a firearm. In a survey of high school students in Boston, 5 percent reported carrying a firearm,” showed the study. The researches listed homicide as the second leading cause of death among people aged 15-24, adding that the large majority of those homicides often involve firearms. “The presence of a firearm in the home is a risk factor for suicide: fully 52 percent of all US suicides involve a firearm,” researchers found out. The survey revealed that the life expectancy for men in the United States ranked the lowest among the 17 countries reviewed, at 75.6 years, while women ranked second lowest at 80.7 years. To explain this, the researchers examined three categories: the US health care system, harmful behaviors and social and economic conditions. Thus, in addition to the impact of gun violence, Americans consume the most calories among peer countries and are involved in more accidents involving alcohol and drug use. AIDS and infant mortality have been also listed among reasons of lower life expectancy. “With lives and dollars at stake, the United States cannot afford to ignore this problem,” the report said. 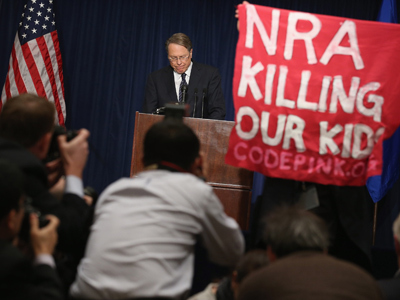 ­The horrific Newtown shooting has once again sparked debates over the nation's gun laws. Many politicians and public figures called for new restrictions, whilst gun rights defenders claim the ban on arms violates the second Amendment and will not stop shooters, because the “real problem is the criminal”. Vice- President Joe Biden, whose leading a panel on the issue, formed after 20 schoolchildren and six adults were killed on December 14, kicked off a series of meetings on gun violence Wednesday. It will negotiate with gun-control advocates and gun-rights supporters. His group is expected to recommend to Congress the reinstatement of an assault weapons ban that expired in 2004. 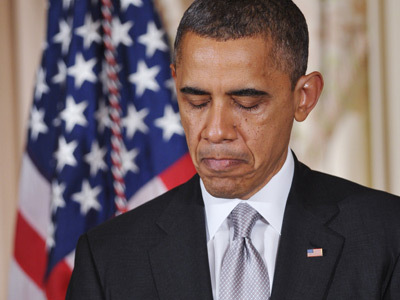 President Obama has vowed to make gun control his priority as soon as he begins his second term on January 20. The president said he believes that most Americans would support the reinstatement of a ban on the sale of military-style assault weapons as well as background checks on buyers before all gun purchases.